 Play ‘A Date in the Life’ with Lavalife and Win! Lavalife has been bringing singles together for over 25 years, but now it is back and better than ever! In November 2014 a brand new Lavalife is launching with a sleek design and exciting new features. To celebrate the exciting “new” Lavalife, we’re giving away 1000 free month memberships and a Dream Date in Toronto! Be one of the first to try the new Lavalife site when it launches in November. If you are one of the lucky 1000, you will also receive an entire month for free. We will let you know when it is going live, so be sure to check your email for the update! Lavalife is all about the fun side of dating. While we hope that you will find your special someone, we want to make sure you enjoy yourself on the way to your happily ever after. Lavalife provides you with all of the tools and search preferences you need from advice on our blog to specific search filters, so that you can create your dating story just the way you want it. So what are you waiting for? Take control of your online dating experience and start having fun again. We believe that the journey is just as important as the destination, and we want to celebrate every memorable moment along the way. The first time you met, the first time he held your hand, the first time she smiled at you- we want to capture all of it! After all, if you do end up spending your life with this person you will look back at these moments as the ones that started it all. And if it doesn’t work out? Well, you will still have some great memories to look back on as you search for Mr/Mrs Right. Lavalife allows singles the chance to really search out what they are looking for and try new things along the way. It has never been easier to find great dates than it is now, but sometimes it can be easy to forget the special moments. We want to celebrate the exciting, special and memorable moments of the dating experience: the butterflies, the anticipation, the smile that a great date leaves on your face. Lavalife aims to provide a pressure-free environment where we put you in charge of choosing who you want to talk with and how you want it to play out. Stick with us and we promise we will remind you what dating is all about and bring back the excitement! Stay tuned for the new launch. We can’t wait to show you what we’ve been up to at Lavalife- Where Singles Click.